Is this your cry, ‘Help Me Can You?’ or ‘Help me God please?’ Are you facing a crisis or the temptation to quit? This article and movie will encourage and help you find peace in the midst of life’s challenges. Life is full of disappointments, crises and tragedies, and no one can go through life untouched by tough circumstances. Some people sink under the weight of challenges, while others stay afloat to achieve success. Do you find yourself asking questions when tough times come like, “Why has this happened to me?” or “What did I do to deserve it?” It has sometimes crossed my mind, “Why me?” when I’m faced with what seemed like an insurmountable problem. But I have learnt not to dwell on the thought. 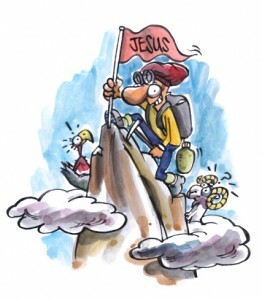 God either helps us by removing our mountain or giving us the courage and strength to climb the mountain. In the first chapter of the Bible we read how God created the world and said, “It was good”. The world was perfect when God created it. He then created man and woman and gave them free will. Our choices brought sin into the world. The perfect world he created was ruined and we now suffer from the effects of rebellion, selfishness and pride. God didn’t abandon us to our choices. He sent his Son, Jesus, to this imperfect world to rescue us and give us hope of a better future. No matter what problems you are facing there is always hope. We all hurt. We all make mistakes. That’s life! It’s a journey. God wants to help us in our journey. 2. Jesus understands our struggles. What does it mean to trust or rely on God? Trusting in God is believing that he is big enough to bring good out of what is happening. It’s when we wake up in the morning and say, “God, I know you love me and answer prayer, so I thank you for answering my prayer today.” Bill and I called on the name of the Lord to heal me. Three months later I was reassessed and there was no sign of the ulcer! Life can be cruel and when we are down we often get beaten the most. We are most vulnerable when going through difficult times. To help you make wise choices, talk over decisions with someone in whom you have confidence. While under pressure, had someone given us that good advice years ago, we would not have made an unwise financial choices. It requires a choice to try to see the good in a situation, a choice to trust God even when we don’t understand what’s happening or why, a choice to respond to Him and not harden our hearts. As we have discovered, staying afloat through hard times is a choice we make, actually a series of choices as we go through our day. The solution to our particular situation may not come in the way we expect. The tough times you are facing may be leading you to what might be your most important choice. A right relationship with God may be the ultimate answer to many of the problems you face. Would you like to have a relationship with a powerful God who loves you and wants to help you? This movie called, ‘Living Free’ will show you how! Is the cry of your heart, ‘Help Me Can You? or Help Me Please!’ This article and movie were designed to encourage and help you find peace in the midst of life’s challenges. Did you find that peace?